Sim racing is becoming an increasingly popular hobby for F1 drivers and Verstappen is one of the main proponents, having made a few headlines in the virtual world over the off-season. He’ll be spending his weekend ‘off’ by heading back to the sim to compete in the Fanatec Sebring 12 Hours for Team Redline, driving alongside countryman and sim racing ace Atze Kerhof. Other names taking part who you might recognise include McLaren simulator driver Rudy van Buren, sim racing Youtuber Jimmy Broadbent, and the guy who went to the Race of Champions and beat a former F1 driver, Enzo Bonito - as well as many other big names in sim racing. You can check out the complete entry list by clicking here. 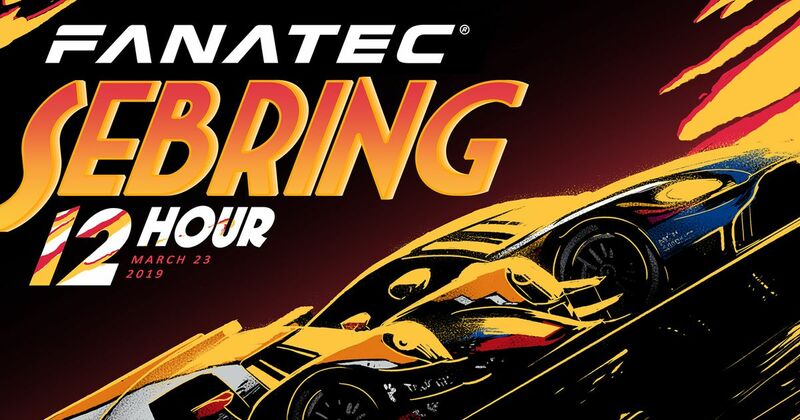 Over €10,000 worth of prizes are on offer - the top three in each class will win Fanatec vouchers and cash, while the driver of the day will win a full-on Sim Lab TR1 Cockpit. It’s not only the drivers who’ll have a chance to win, though - every couple of hours there will be audience giveaways, ranging from Fanatec vouchers to the new Fanatec Podium direct drive wheel. How about that for a prize!? The race itself gets underway at 11am CET (that’s 10am UK time) and will be streamed live on Twitch, the rFactor 2 Facebook page, and the Studio 397 YouTube channel.